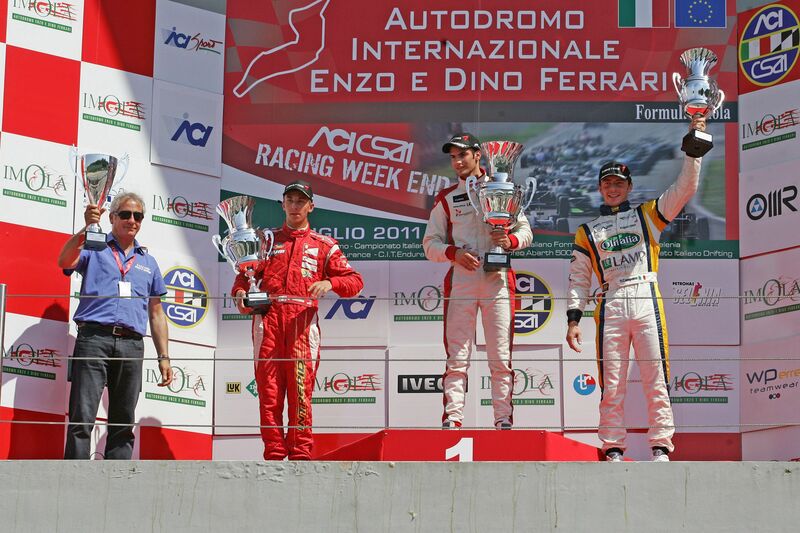 17/07/2011 - Team Lucidi Motors obtained the first victory of this season in Imola's third orund of the Italian Formula 3 Championship 2011. Kevin Giovesi set the eighth fastest time in qualifying on Saturday morning (1'42.018) that awarded him with the pole position of race two; Victor Guerin was ninth instead (1'42.305), while Edward Cheever set the eleventh fastest time (1'42.629). Race one was held on Saturday afternoon and awarded Giovesi with points as he ended seventh at the end of a regular performance; less fortunate were Guerin, twelfth at the finish line after an off track excursion while fighting for the seventh position, and Cheever that retired during the formation lap due to a technical problem. 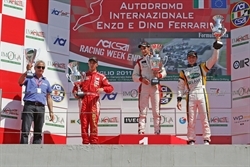 Giovesi dominated race two from lights to flag and obtained his first Formula 3 victory at only seventeen years of age. Extremely positive were also Cheever and Guerin's performances that ended respectively seventh and eighth, well within points, thanks to two good recoveries. "We are extremely satisfied for reaching the victory with Giovesi in his third weekend with the team but also for ending positively the weekend with a good race by Cheever and Guerin after an unlucky race one for them. As always, the technical growth of drivers is a priority for the team and we are starting to see the first results". Giovesi is now fourth in the classification with 42 points, 16 shy of the leader; Cheever is eighth with 32 points while Guerin is seventh at 17. In the rookies classification, Cheever is fifth at 47 points and has a 15 points gap from the top; Guerin is seventh at 33. The Italian Formula 3 will be back on track next 7 August on the legendary circuit of Spa-Francorchamps (Belgium).